Ivana Bodrožić was born in Vukovar in 1982 where she lived until the Yugoslav wars started in 1991 when she then moved to Kumrovec where she stayed with her family at a hotel for displaced persons. She studied at the Faculty of Humanities and Social Sciences in Zagreb. In 2005, she published her first poetry collection, entitled Prvi korak u tamu (The First Step into Darkness). 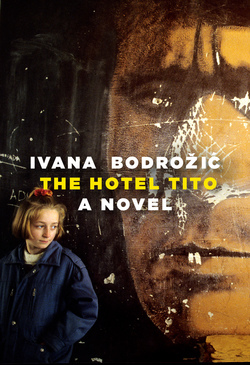 Her first novel Hotel Zagorje (Hotel Tito) was published in 2010, receiving high praise from both critics and audiences and becoming a Croatian bestseller. She has since published her second poetry collection Prijelaz za divlje životinje (A Crossing for Wild Animals) and a short story collection 100% pamuk (100% Cotton), which has also won a regional award. Her most recent novel, the political thriller Hole, has sparked controversy and curiosity among Croatian readers.